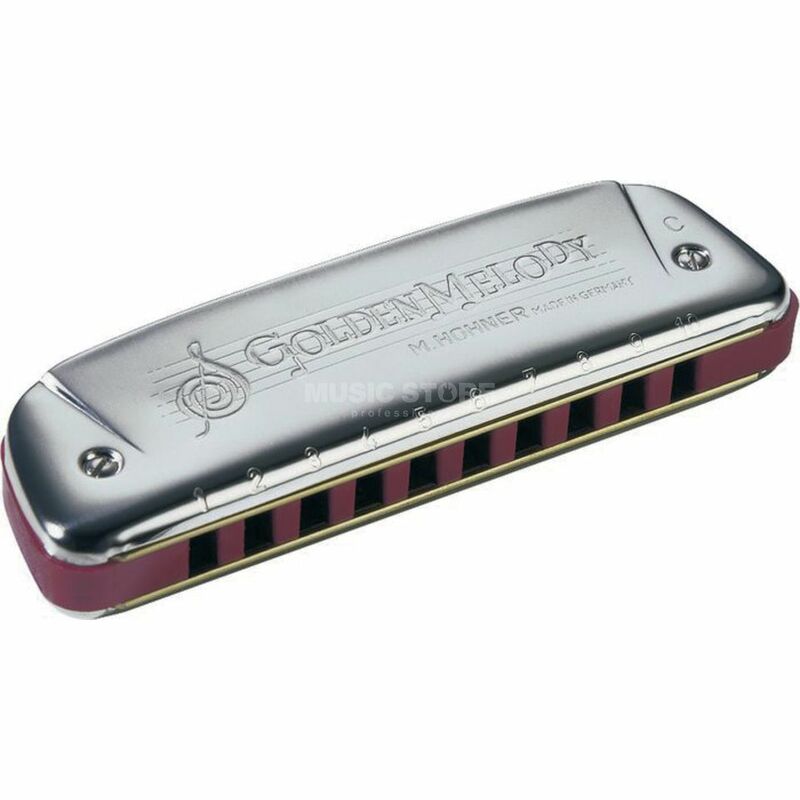 The Hohner Golden Melody A 20-Tone Harmonica is a diatonic harmonica in the key of ‘A’ featuring a classic 1950’s look and feel, it’s ideal for both precise melody playing and blasting out the blues. One of Hohner’s best selling professional models; it is a favourite of world renowned players Howard Levy and Carlos Del Junco. This model has equal tempered, standard diatonic tuning and a red plastic body for air tight construction. With their excellent response and great tone, diatonic harmonicas from Hohner have earned a worldwide reputation for the finest quality. They are frequently referred to as “Blues Harps" and are primarily used as melody instruments in blues, rock, pop, country and folk as well as other styles.